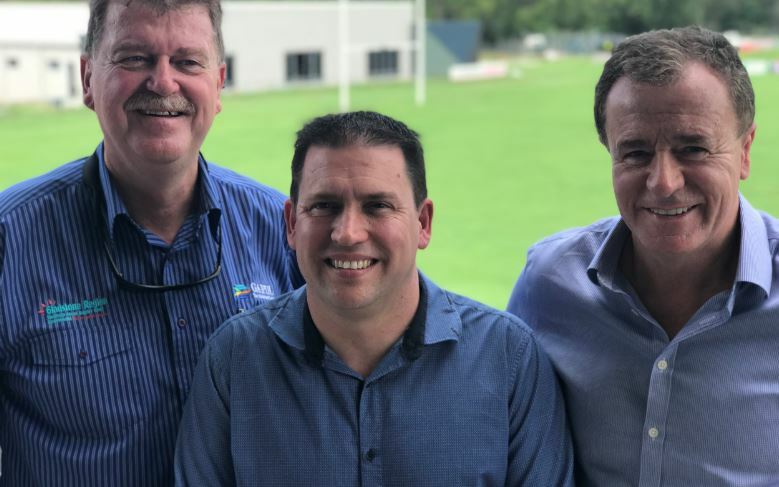 Darryl Branthwaite from GAPDL, Mayor Matt Burnett and Graham Annesley, Gold Coast Titans CEO at the launch of ticket sales for the NRL Match at Marley Brown on 8 April. Grandstand tickets for the eagerly anticipated NRL clash between the Gold Coast Titans and Manly-Warringah Sea Eagles at Gladstone’s Marley Brown Oval on April 8 were sold out in under a minute after ticket sales commenced on 1 March. Gladstone Region Mayor Matt Burnett said the sale date had been keenly awaited by rugby league fans throughout Central Queensland and this was reflected in the first day of sales. “I am sure Marley Brown Oval will be full house and while it won’t be the biggest crowd the players will have experienced, I wouldn’t be surprised if it’s one of the most enthusiastic. Cr Burnett thanked Titans CEO Graham Annesley for agreeing to bring the game to Gladstone. 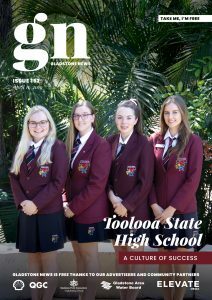 “They could have gone anywhere in Queensland, but they came to Gladstone,” he said, adding that the fixture had come about through excellent collaborative efforts of Council, the Titans, Gladstone Area Promotion and Development Limited and Tourism and Events Queensland. “This is a great economic development opportunity for our region and an opportunity to promote our region to the national via Foxtel’s broadcast of the match. Tickets were priced at $70 for grandstand seats (sold-out) and general entry is $30 adults, $20 children aged 4-14 years and free for children under the age of four. There are still General Admission tickets available.